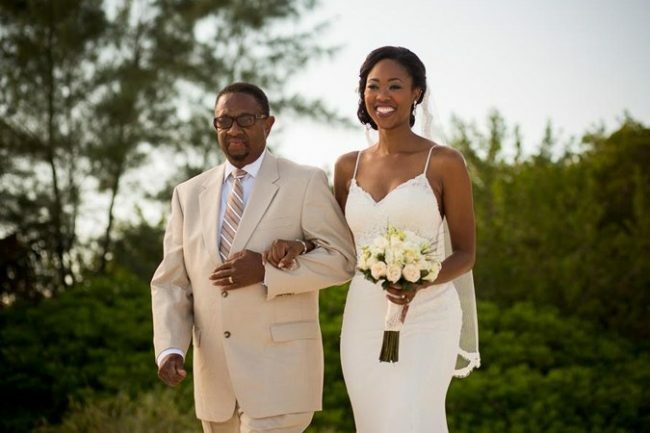 “I am African American and found Doranna on a forum for African American brides. I have a relaxer and was so worried about booking a good hairdresser because I planned on swimming before my wedding day. I saw that she was the queen of romantic updos, so I booked her. She came to my hotel suite the night before my wedding in order to blow dry my hair. She is tall and beautiful, and her personality is awesome. She is hilarious! She was incredibly thorough with the blowdryer and styled my hair in an elegant style for my pre-wedding dinner. She came back the next day and arranged the prettiest updo. I showed her photos of what I wanted, something romantic but complex looking and she went above and beyond. I brought clip in hair extensions with me that I had made, and she hooked them up! My wedding hair was fabulous! Thank you Joslyn for letting me make you wedding day a whimsical dream come true. Tulum was the perfect destination for your wedding in Mexico.